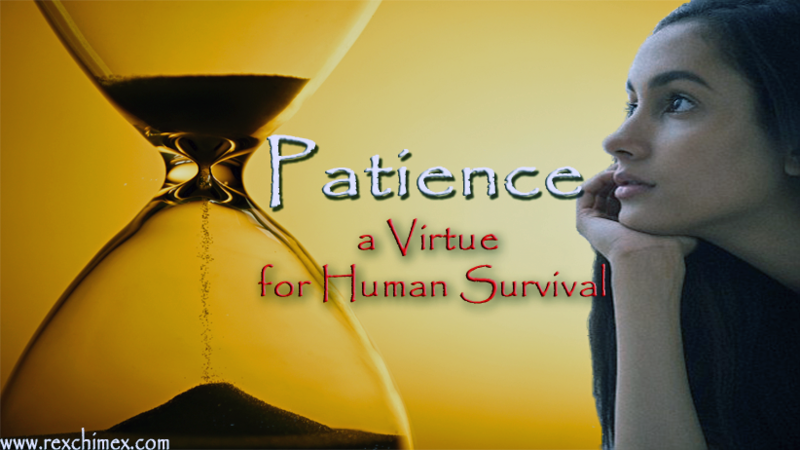 The power of patience, an indispensable virtue. Have a closer look at your environment to observe its climatic condition. Perhaps it maybe windy, snowy, sunny or rainy. Well if it was rainy, empirical assessment has shown that 3 out of every 5 persons would resort to being patient enough to wait under a shade for the heavy rain to stop or reduce. Before any further movement (whether they own a car or not). Instead of trying to walk tall against the rain, get drenched, catch a cold, slip-off at any slightest locomotive mistake, collapse and wake up at the nearest hospital to pay incurred bills. The possibility of one being carried away in a possible flood amid heavy downpour, cannot also be overruled. What a sad event assuming by chance it happens, and to worsen issues, the rain stops immediately after the ugly incident. The phrase “The devil has done it again!” begins the tale from the lips of every witness who saw the ugly incident and wants to narrate it to another. Patience is not the ability to wait but to keep a good attitude while waiting. Just as I laid down to sleep, the cry of the newborn baby girl that was born to the humble family of Mr Amadi, could not let me sleep. Her cry was so piercing and alarming, perhaps could be likened to the alarm of a brand new alarm clock sounding with vigour. But I was not complaining because every well-wisher in the vicinity had been praying fervently for God, to bless the home of Mr and Mrs Amadi with a child, having been married but childless. “Aaah yes ooh! I thank God ooh!” Jacob replied in wild excitement. He further reminded me of the precise date when he first told me he was going to cook his special delight, and how he had been saving money patiently since that very day. I calculated the time it took him to be ready enough to afford the ingredients to prepare his best food, and it totalled up to 3 weeks! This is serious! I thought silently. As I was about closing my door, a question struck me from out of the blue. “Okay, thanks,” I replied. Why such a name? I seriously wondered before the light of answers lightened my state of cluelessness. Ndidi is an Igbo word, and it means “patience.” Ndidiamaka means “patience is beautiful.” The Igbos understood that patience is a virtue, and they have also strongly believed that the name one bears plays a significant role in what one becomes or faces in life as relates to luck and misfortunes. They knew that with patience, every mountain is surmountable, and he who moves before or ahead of his “Chi” will have an ugly story to tell. “What a wonderful name, if I were this little pretty damsel I would be wise enough, I would live to my pretty name all the days of my life.” I soliloquize. So many people have strategized plans for achieving life changing goals and aspirations, of which are in the right direction, except for those who fail to plan and in essence plan to fail and who are often victims of impatience. We often sit down to create a perfect plan A, but the ordeals of life have often proved that no human can dictate or predict what happens in the next few seconds. Life is wild and cannot be tamed. So mean and impartial is life, that it is often likened to a man ruling his household with a heavy strong hand. The way things changes are often beyond human imagination and comprehension. No wonder the often sayings of men who had witnessed the gross irregularities of life, and have stood up to unequivocally say; “there is more than one way to skin a cat, if plan A fails, try plan B, C to Z to plan AB, BC, CD to YZ to plan ABC, BCD to infinity. But be mindful of the demands of the plans you execute.” This shows the limitlessness and voluminosity of life. This speculation proves that no human on earth is stoppable unless one chooses to or be stopped. Nowadays we plan and replan, think and rethink and finally sit in convenience to draw a wonderful map of which a professor in cartography would definitely marvel at. The map will be about the way things will fall perfectly into place as time goes on. I could remember when I was so small I told mum, I will marry a white woman and she laughed out loud. Let’s see she said. And suddenly, along the line things fell out of place, the condition became unfavourable and things fall apart as envision by late Professor Chinua Achebe. Just then, myriads of questions patrol the mind of man. Oh! Should I cry? Should I slap myself? Is this not my fault? Do I need to visit the rehab? Should I question God? Should I commit suicide? At this juncture whereby one is faced with a deadly pertinent question, “should I commit suicide” it is best for such questions not to be thought of, at all. The self-termination of life has never yielded any good nor solved any problem no matter what the excuse might be. He who takes his life is a traitor before God. One may ask why? The answer is simply because he knew that when there is life, there is hope but the dead has no hope because there is no life. In patience and his trust in God, God replenished and restored all that he lost twofold. Thomas Edison who discovered electricity as he was trying to make a light bulb, carried out his experiments for up to 1000 times, but he never gave up on his dreams nor gave in to frustrations that undermined his work. And at the end, we all enjoy the proceeds of his relentlessness, including that smartphone people pride about. One character, which the generation of this age lack in their DNA is patience. Perhaps instead of parents handing over patience as a virtue to their children, they hand over impatience which is a vice. Some parents abuse each other at the slightest provocation and even create unbelievable scenes that the whole neighbourhood gathers to watch (live cinema). A microscopic examination of our society today shows that the “get it now or I die syndrome” has brought mayhem and chaos to drink and wine amongst us. Armed robbers, kidnappers, child traffickers, pirates, commercial workers and members of other impious vices have taken over the helms of affairs and have held the whole society to ransom. One cannot move freely at night nor in the broad daylight for the fear of kidnappers, neither can one keep nor move around with the little amount of money or ATM card for the fear of armed and unarmed robbers. All these are as a result of the emergence of some sets of people who have decided to dig a ground and bury the virtue “patience” inside and then unearth “impatience” and wore it as an underwear. 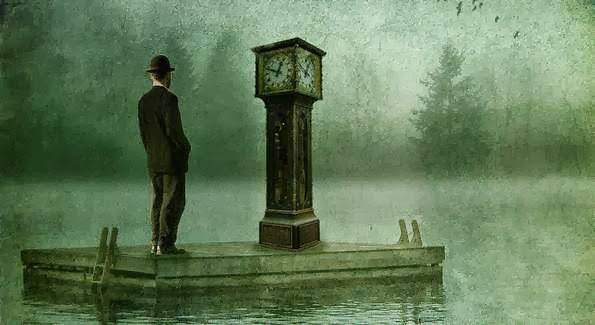 They unscrewed the screws of the clock and whined back its hands for time to obey them, instead of waiting for the right time to come while keeping up a good attitude. The kind of inhumane acts and atrocities that results from impatience; pops the eyes out, leaves the mouth agape and sends shrills of coldish sensations running down one's spine. Just then one begins to wonder where the conscience of man has actually wandered to, that man no longer feels and perceive the gravity of evil done. Can we please move back to the days of Moses, perhaps sanity will return back to the land. We can go on and on citing examples of what results from impatience but the oxygen, heat, and fuel that comes together to start and support the devastating fire of impatience, burning fervently in the hearts of men can be made scarce and eradicated if we do strongly believe; change is constant in life, what you sow you reap, time heals everything, no condition is permanent, every dog has its day, he who laughs last laughs best, he who takes things easy does not wound, for the beauty of the rose we water the thorns, slow and steady wins the race, the end justifies the means. Things are not as far as they seem or appear. Most of the problems in this world would not have appeared so complex, conspicuous, and enormous if most people were patient enough for the expiry date of their troubles and challenges to come. But in rational thinking, everything in life has a beginning and an end, and so does our troubles and woes that catalyse and create room for impatience. Mr Jacob saved money patiently to eat his favourite meal. Same applies to us, let’s save our resources patiently to achieve our desired goals, fulfil our destiny and life assignment. In all our dealings and doings in life, whether with our self or with other people, patience should be our watchword. We should not lust at (lose focus), copy (mimic), or envy (jealousy) others because impatience is just a highway to frustration, which pushes one to the chambers of death. Do not forget, Rome was not built in a day.